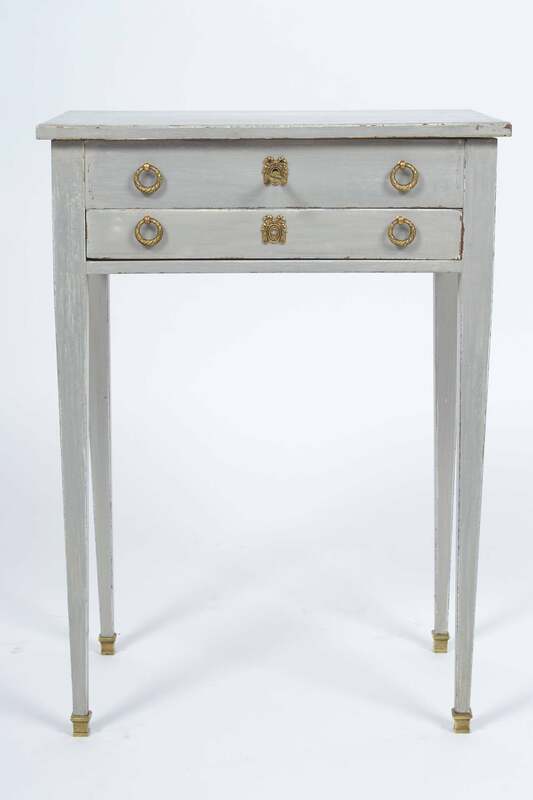 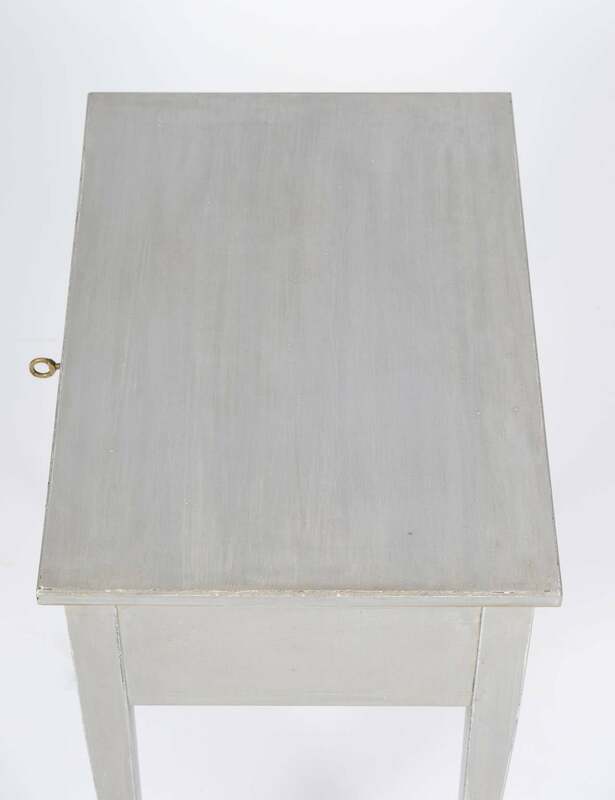 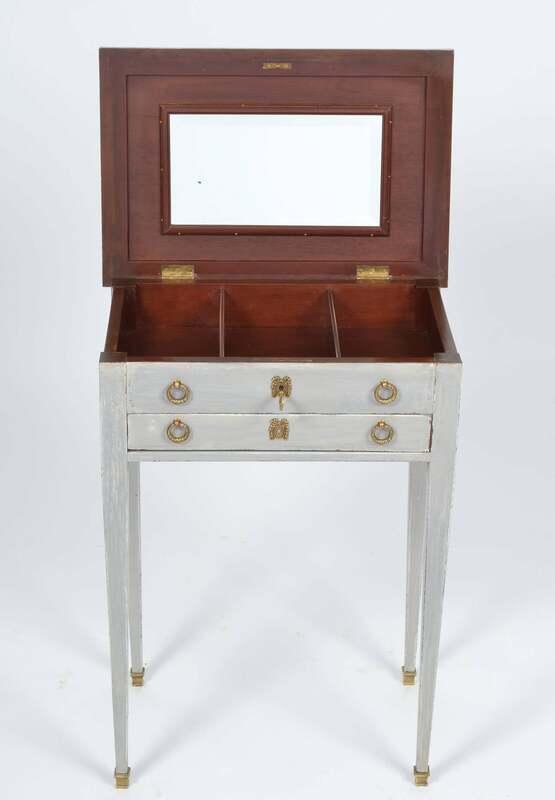 Antique French Directoire style vanity table in painted mahogany with a gray "Trianon" patina. 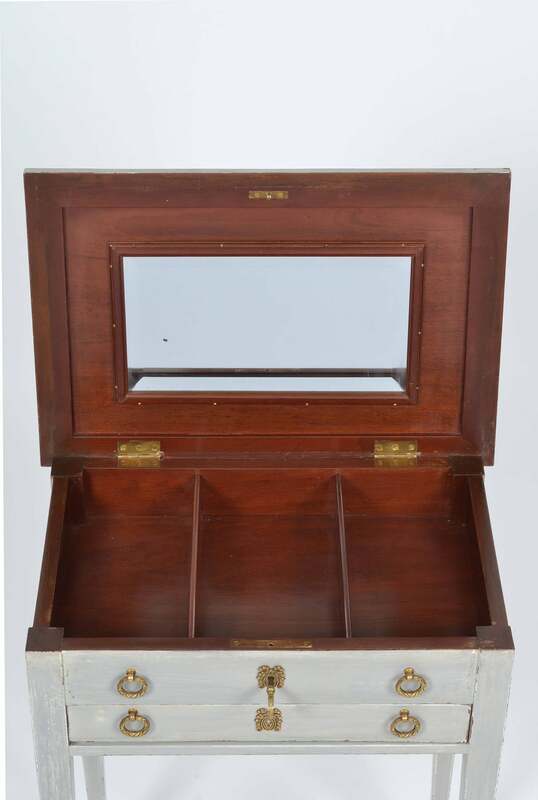 Locking top left open to show a beveled mirror and three compartments. 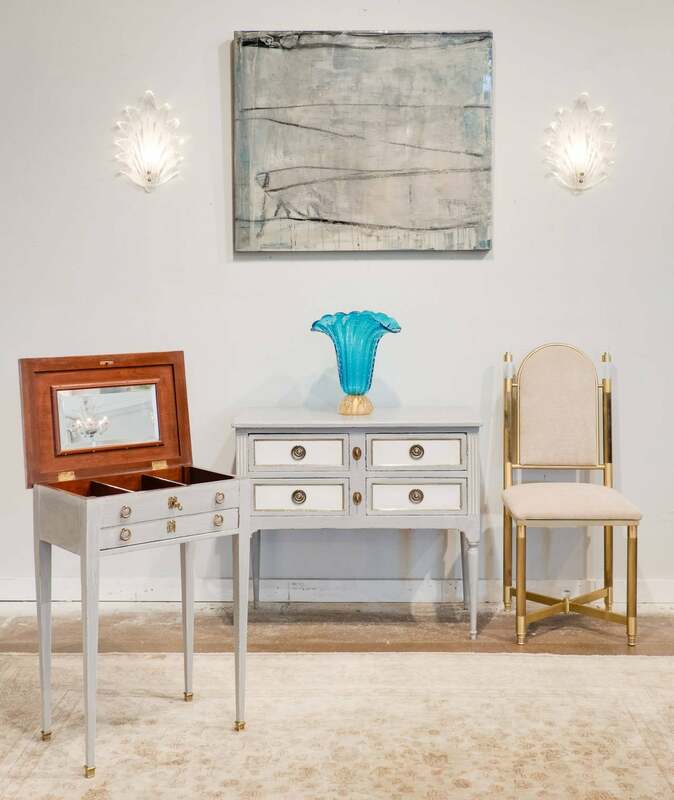 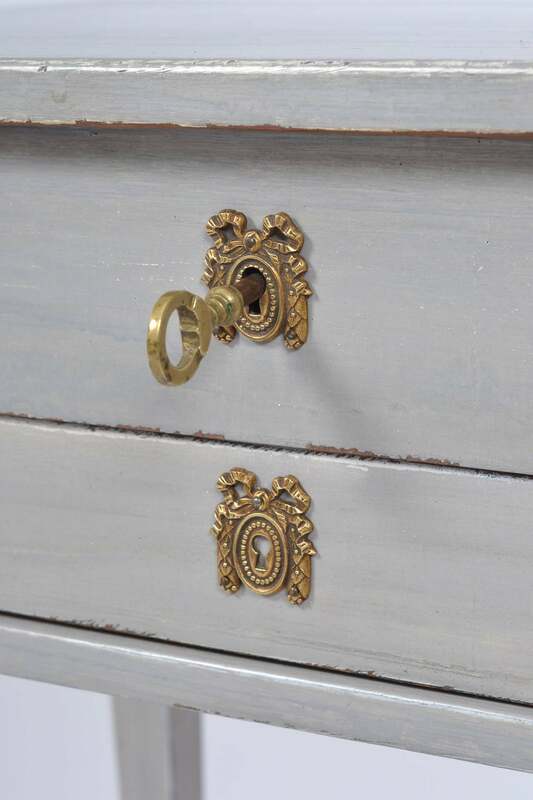 Single dovetailed drawer, bronze hardware, and tapered legs with brass feet. 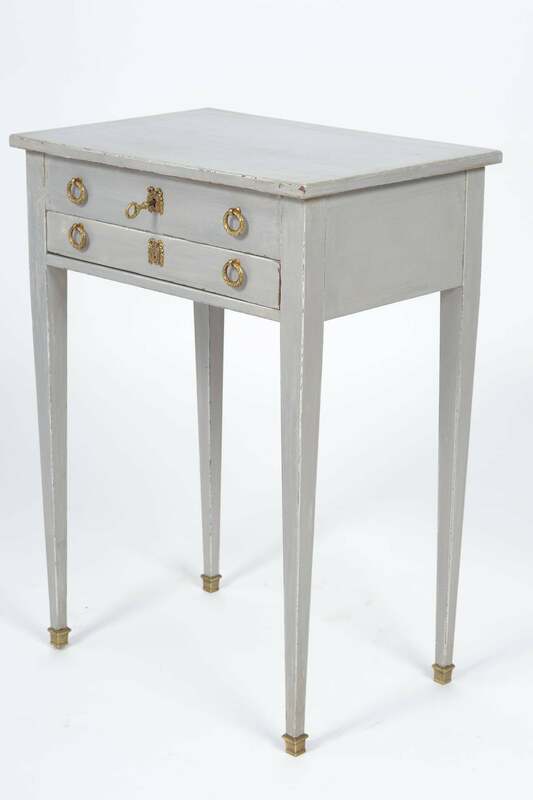 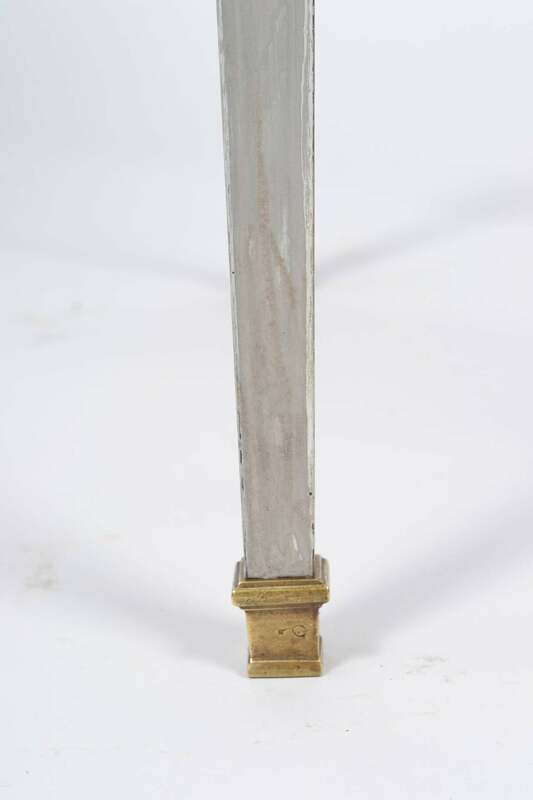 A real charmer with finely cast hardware and great proportions. 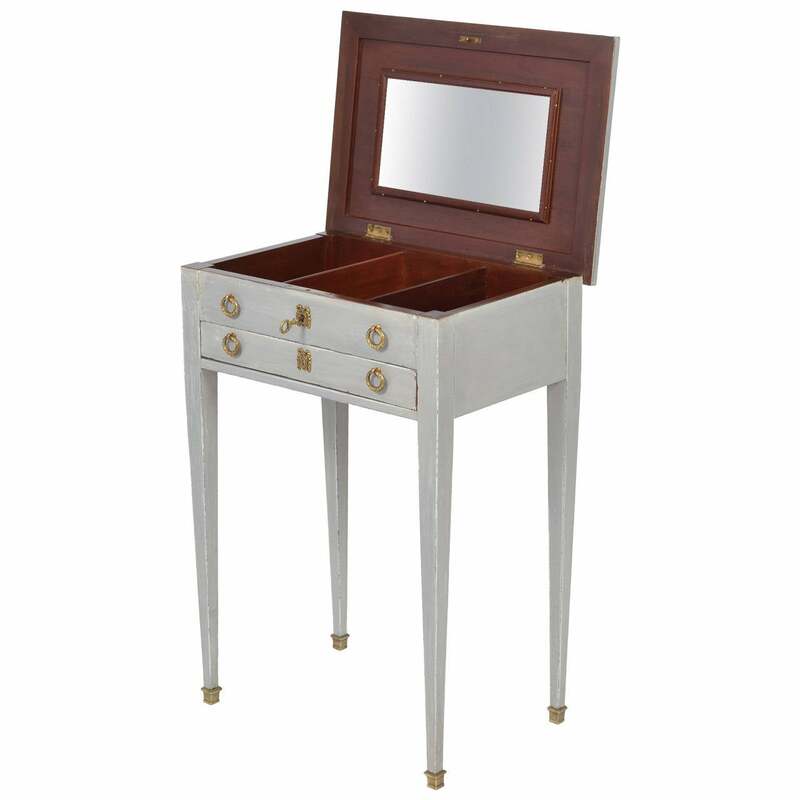 A French circa 1950s nickel-plated vanity with black glass shelves and mirror. 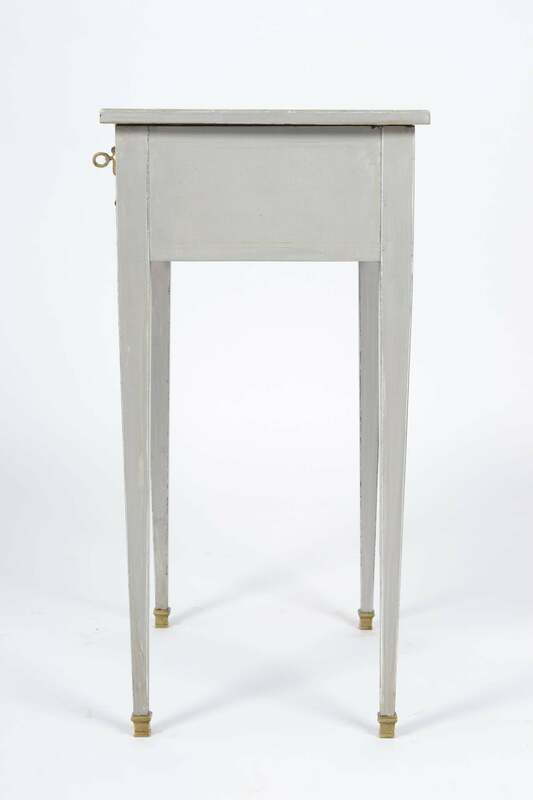 Measurements: Height 64 3/4" Width 39" Depth 15 1/4".